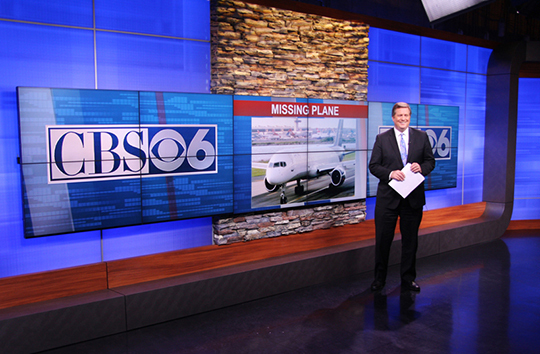 Albany’s CBS 6, WRGB-TV, debuted a new set from Devlin Design Group this week, part of many transitions over the stations lifetime. WRGB-TV first broadcast a television signal in 1928, becoming one of the first television stations in the country. The distorted, pinkish images seen in the 3-inch screens of those early TV sets are a far cry from today’s HD resolution. 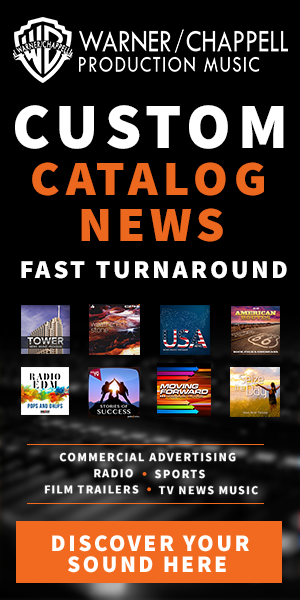 The station claims to be the first television station in the country, and has launched some pretty big careers, including that of Rachel Ray and Mr. Food. The set includes multiple presentation areas, large storytelling displays and programmable color-changing backlit graphics, which can shift colors and moods for each newscast. Camera center is a curved anchor desk with wood tones and backlit panels. Behind the anchor desk is a large video screen. Graphic panels connect the area to the weather center, camera right. The weather center includes a 4×1 monitor array and a presentation pod. On camera left of the main anchor area is a 6×2 monitor array, used throughout the newscast for standups and reports. A stone column intersects the monitors, with graphic panels on both sides. 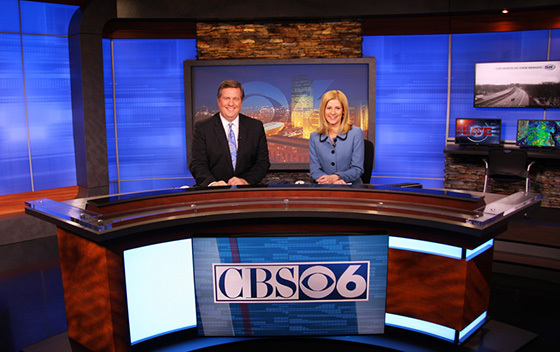 WRGB-TV broadcasts a unique brand of enterprise reporting, which the set helps enhance through its large video walls. Brightline lights were used on the set, to help it pop in HD.